I have not seen anything more beautiful than the Messenger of Allah SallAllahu alaihi wasallam. It was as if the sun was shining in his face. When he laughed, it reflected from the wall. His laughter was a smile….his companions smiled rather than laughed in his presence out of respect for him and to imitate him. When he was happy he looked downwards. Generally his laughter consisted of a smile and he showed his teeth which were as white as hailstones. 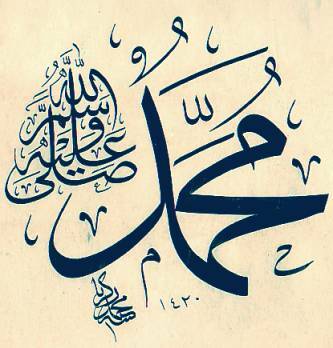 I did not see anyone who smiled more than Rasulullah SallAllahu alaihi wasallam. The laugh of Sayyidina Rasulullah SallAllahu alaihi wasallam was but a smile. A collection from two indispensable books: Muhammad, Messenger of Allah and Shamaa’il Tirmidhi. Insha’Allah by reading the numerous Ahadith on the occasions when our beloved Prophet SallAllahu alaihi wasallam smiled we too can smile and recall the various feelings that made him SallAllahu alaihi wasallam smile, whether due to happiness, delight, astonishment, wonder or any other reason. Narrated Abu Hurairah RadhiAllahu anhu: Once the Prophet SallAllahu alaihi wasallam was narrating a story, while a Bedouin was sitting with him. “One of the inhabitants of Paradise will ask Allah to allow him to cultivate the land. Allah will ask him, ‘Are you not living in the pleasures you like?’ He will say, ‘Yes, but I like to cultivate the land.’ ” The Prophet SallAllahu alaihi wasallam added, “When the man will be permitted he will sow the seeds and the plants will grow up and get ripe, ready for reaping and so on till it will be as huge as mountains within a wink. Allah will then say to him, ‘O son of Adam! Take here you are, gather the yield; nothing satisfies you.’ “On that, the Bedouin said, “The man must be either from Quraysh, a Muhajiroon or an Ansari, for they are farmers, whereas we are not farmers.” The Prophet smiled at this. Peace and blessings upon you O my master. O Messenger of Allah, O Prophet of Allah, O master of the messengers. O seal of prophets, O favour of Allah upon the believers. Peace and blessings upon you O protection of the world and its people, O refuge of the nation, the one whom we pin our hopes, O mercy of humanity. Peace and blessings upon you O kind, merciful, smiling affectionate Prophet, O you with whom needy and troubled people seek a means to Allah the Exalted. Here I am O Messenger of Allah, seeking help and sanctuary in the vastness of your magnanimity, seeking a hint of your smile as I behold your Dome of Felicity. Every good deed of a Muslim is charity; meeting your brother with a smiling face is one of the good deeds. Such a bounteous Hadith from our beloved SallAllahu alaihi wasallam. All good is from Allah Ta’ala whereas mistakes are from this humble speck. May Allah Ta’ala Bless all readers, bringing you all closer to Him and His Rasul SallAllahu alaihi wasallam. Ameen. © Umm NoorBilal Petersen has contributed this beautiful article to the Light Reflections series on Healing Hearts. The article was originally published on her awesome blog in 2006.
i wish men understand this and have big rhtaes..because wemen do not object whatsoever their men do..they take everything as their fate and cooperate..men must let go of their ego..its not gonna bring them joy..if they want their wives to respect them and obey them then they shuld first let go of their ego and respect their wives if they wont let go of their ego their wives will fear them ,hate them but never respect them from the depth of their rhtaes and whenever they will get a chance they will show their dislike..whether in this world or the next. Aslaamu alykum all,Thank you siestr for sharing this article with us. I truly think we us Muslims need to have courses where articles like this are shared with couples to be because a lot of times no one really tells you what it is that you need to do in order to make marriage work. To go a little further, I wanted to share with you just in case you already don’t know is that Br. Yasir Qadhi(a man I respect so much)has started a series of emails about marital relationship where he tackles a lots of issues sexual and not to keep a marriage a life and happy.